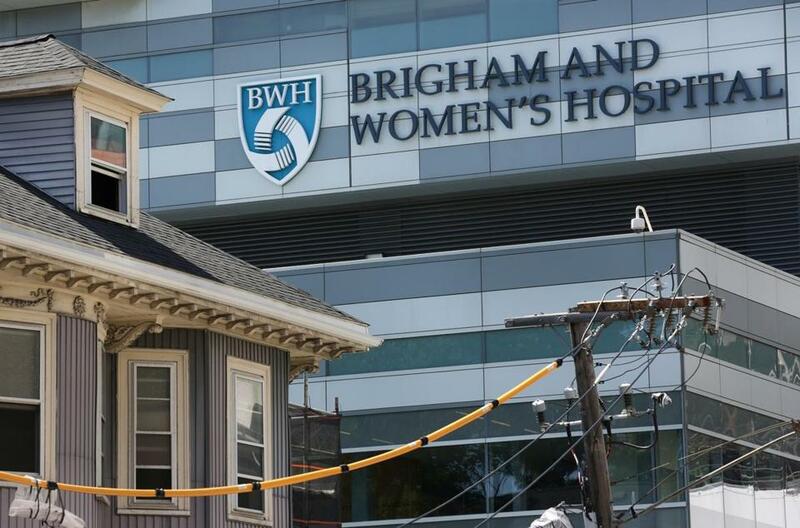 Brigham and Women’s Hospital avoided a nurses walkout in June, but spent heavily in advance to hire temporary workers, move patients, and cancel appointments and procedures. Brigham and Women’s Hospital narrowly avoided a nurses strike earlier this summer — but the showdown was costly nonetheless. The Boston teaching hospital took a $24 million hit from spending on strike preparations, its parent company, Partners HealthCare, reported Friday. That includes about $8 million for temporary replacement workers hired in case the hospital’s 3,300 nurses walked out. Brigham lost another $16 million in revenue because it transferred hundreds of patients and canceled procedures and appointments ahead of the threatened one-day job action on June 27. The Massachusetts Nurses Association and management reached a three-year contract deal in the early hours of June 26. The compromise settled differences on wages, benefits, staffing levels, and other sticking points — and avoided the strike. Partners is the state’s largest health system, and its roster of 10 hospitals includes Brigham and Massachusetts General. The nonprofit organization said the labor dispute at Brigham contributed to an overall operating loss of $33 million in the quarter that ended June 30. In the same period last year, Partners reported $30 million in income. The company said other factors also contributed to its weak results, including the costs of implementing expensive new electronic health records software. The $1.2 billion system, developed by Wisconsin-based Epic Systems Corp., eventually will be launched across the entire Partners network of doctors and hospitals. Partners incurred higher-than-usual real estate expenses in the quarter, as it began to move thousands of employees scattered across various leased offices into a new headquarters in Somerville’s Assembly Row. Partners’ insurance arm, Neighborhood Health Plan, posted a $40 million loss on operations on higher-than-expected medical claims. The insurer largely serves people on Medicaid, the government program for people with no or low income, and it has struggled with heavy losses in recent years. Neighborhood has worked to grow its more lucrative base of premium-paying commercial customers. Partners’ revenue for the quarter grew 7 percent to almost $3.2 billion. It is on pace to record at least $12 billion in revenue in the fiscal year ending Sept. 30, far exceeding any of its competitors. Brigham and Mass. General are the biggest moneymakers in the Partners system. Mass. General does not have a unionized workforce, but Brigham does. Brigham officials hired a staffing agency on retainer last fall when they began negotiating with the nurses union to prepare for the possibility of a strike. The union voted for a one-day strike, but hospital leaders said they would lock out the union nurses for an additional four days. As the date of the walkout neared, Brigham took new steps to prepare. It reduced its operations to about 60 percent of normal. Many sick patients, including premature newborn babies, were transferred to other hospitals. Just 360 patients were at Brigham on the day of the planned strike, hundreds fewer than typically fill the 793-bed medical center. Through its staffing agency, Brigham also hired 700 temporary replacement nurses from across the country to help staff the hospital in case of a strike. The temp workers were sent home after Brigham and the nurses union reached a deal — but the hospital still had to pay for them. Joe Markman, a spokesman for the union, said nurses are not surprised that the hospital had to incur such costs. “The publicity surrounding nurse strike preparations, the concerns patients had about replacement nurses, and the drop in census at the hospital likely all led to a reduction in profitability,” he said. Brigham collects about $2.5 billion in revenues annually. It’s unclear if strike preparations caused Brigham to lose money overall in the last quarter. Partners and the hospital did not provide those figures. Brigham officials did not comment Friday. The hospital and the nurses union reached their contract deal after almost 10 months of tense talks, and several marathon negotiating sessions. They didn’t find a compromise until elected officials and business leaders, including Boston Mayor Martin J. Walsh and former Partners chairman Jack Connors, got involved and urged both sides to settle.